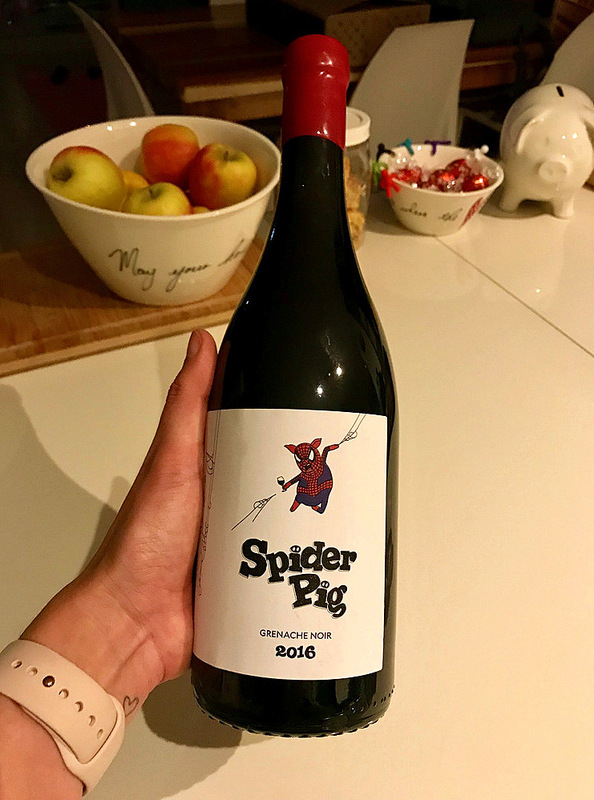 After boasting about my find on Instagram, the guys from Spider Pig Wines got in touch, asking whether I’d like to try some of their other wines… Um, is the Pope Catholic?? Of course I would! Of the 3, the Pinot Noir was definitely my favourite. In fact, I think it’s become my favourite Pinot Noir of all the Pinot Noir’s I’ve tried to date. Both the Rosé & Chenin were lovely easy-drinking, summer wines, with the rose the standout of the two purely because I’m going through a major Rose phase right now. 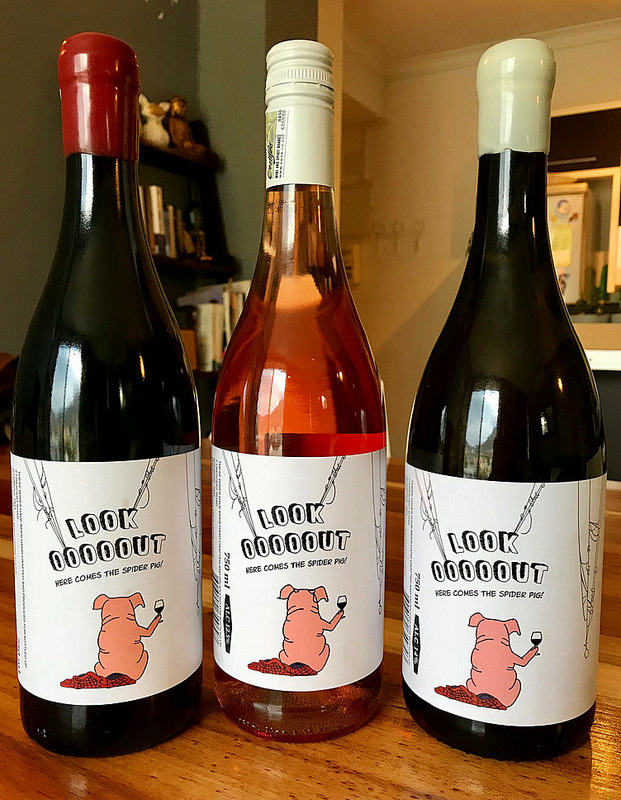 But who are the guys behind this cool wine label? 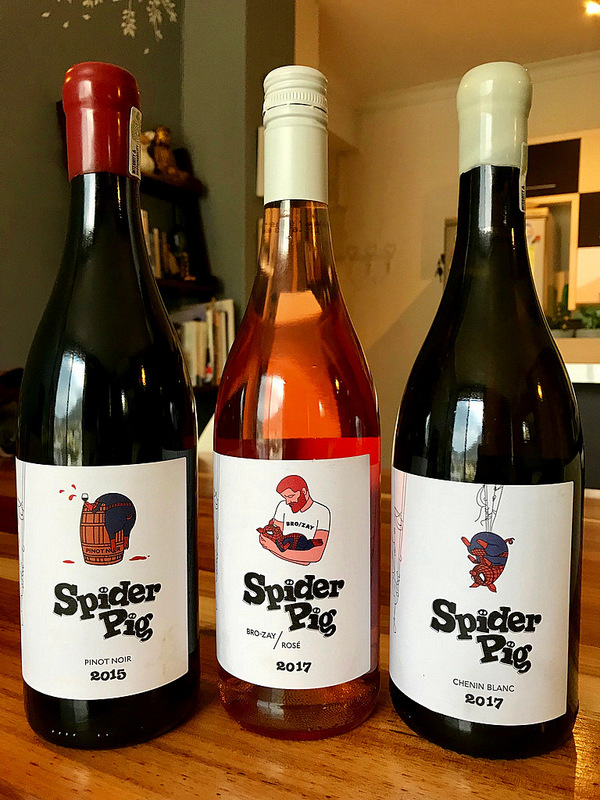 Spider Pig wines is a collaboration between two industry guys, David Nel and David Wibberley, along with a variety of winemakers. The two Davids get winemakers to make these lovely wines in small volumes, keeping them quite exclusive & most importantly fun. The Pinot Noir is smoky & juicy with hints of dustiness. Soft, well balanced tannins with a smooth, gentle finish. The Grenache is crunchy & light with a juicy mid palate and abundance of light red fruits. Totally smashable. The Chenin is a pale straw colour in the glass with aromas of stone fruit, citrus and lemon zest. The Rosé is crisp, light & fruity. Turkish delight, candy floss and strawberry flavours with a dry fresh finish. If you’ve been looking for a fun new wine to try – this is it. It also makes for a great gift, and I’m sure just the name itself will spark some good dinner conversations.